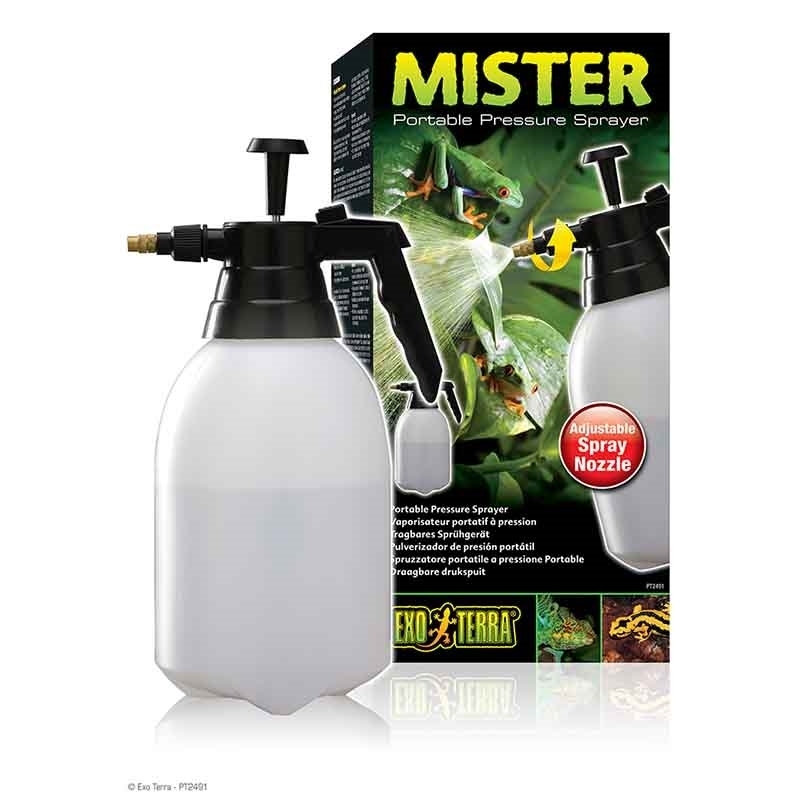 The Exo Terra Mister is an easy-to-use pressure sprayer that eliminates the chore of using trigger sprayers. 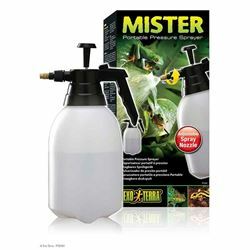 The spray nozzle can be adjusted to allow either single stream or full mist spraying, and it has a locking mechanism that allows for continuous spraying. The large capacity reservoir holds 2 litres (67.5 fl oz) and is ideal for use with larger or multiple terrariums, outdoor set-ups, and in greenhouses.